To start, go to your Projects dashboard in SEMrush and click on the setup button in the Link Building widget. The configuration window of this tool has 2 steps. First, SEMrush lets you enter up to 10 keywords that you wish to earn a higher ranking for. We’ll give automatically suggest keywords based on information gathered from our database, but you can remove any of these and write in your own. If you want to change the regional database that we’ll search your target keywords in, you can do so with the country selector at the top of the window. After entering your 10 target keywords you can also enter up to 10 competitors. 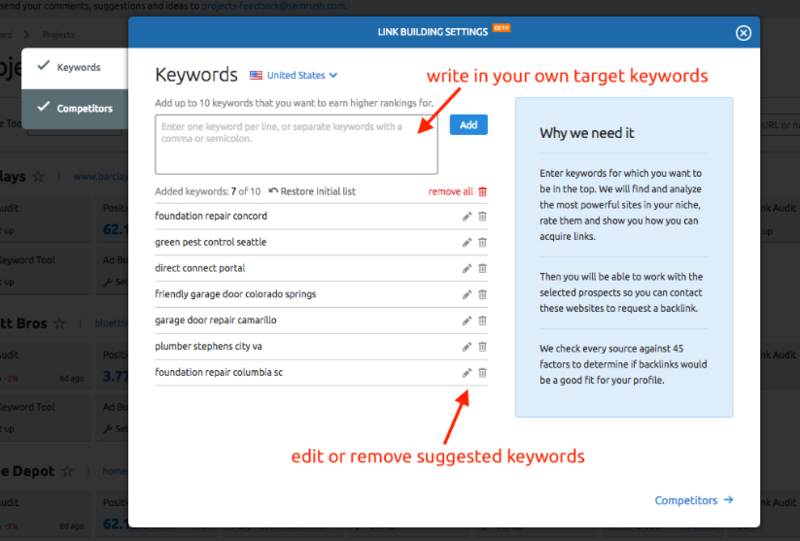 This will help SEMrush find websites sending the most links to your competition and suggest them as your opportunities. 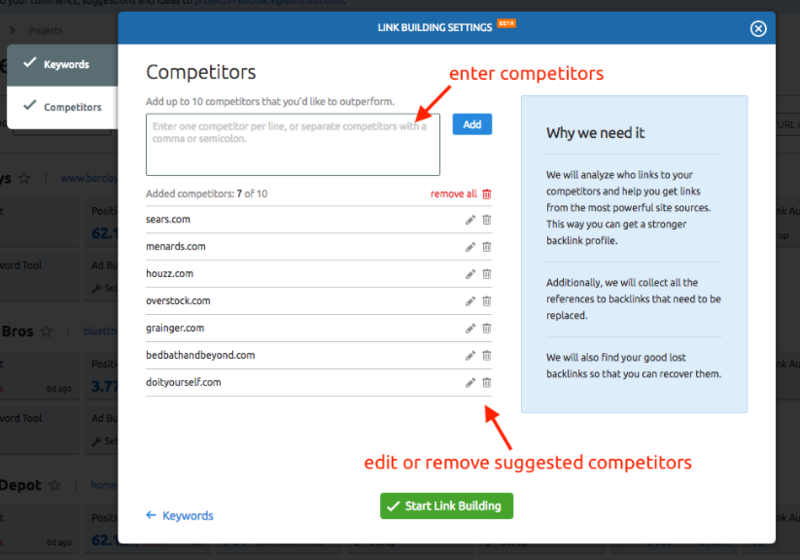 The automatic list of competitors for your entered domain is pulled from the Organic Competitors Report of SEMrush, but again you can remove any of these and enter your own competitors if you have other websites in mind that you are competing with. The subsequent outreach targets (your prospects) presented in the tool will be based on backlinks we found that are helping your direct competitors and other websites rank for your target keywords. The next step of the user manual will help you review your prospects and decide which websites are the best opportunities for you to reach out to.